My First Safari Animals is an 18-piece SmartMax set that enables kids to create six animals. 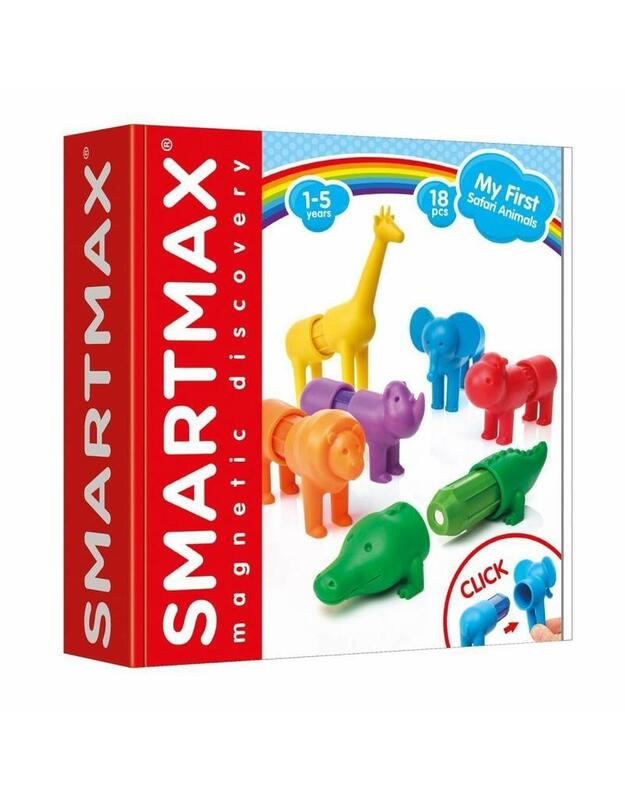 The large, soft, friendly-to-the-touch animal pieces come together easily on the SmartMax magnetic bars for a seamless play experience. Creative kids mix and match for some wild results! My First Safari Animals is a winner of the ASTRA Best Toys for Kids award, as well as the Oppenheim Toy Porfolio Gold Award.